Meiji C-Mount adapter with 0.265X reducing lens, for 1/3" sensor on EMZ-8TR Series. Meiji C-Mount adapter with 0.265X reducing lens. 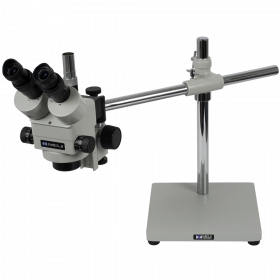 Appropriate for 1/3" and 1/4" sensors on Meiji trinocular stereoscopes with beam-split trinocular output, such as the EMZ-8TR Series. 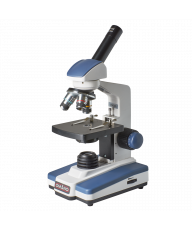 Note: fits ONLY the following Meiji trinocular microscopes. 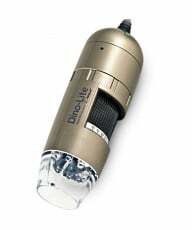 Replaces existing photo tube - EMZ-8TR, EMZ-8TRD, EMZ-8TRU, EMZ-8TRUD, EMZ-12TR, EMZ-12TRD, EMZ-13TR. This adapter is not compatible with Motic MC1000, MC2000, MC3000 & MC5000 series digital cameras. Meiji C-Mount adapter with 0.265X reducing lens. 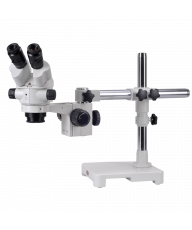 Appropriate for 1/3" and 1/4" sensors on Meiji trinocular stereoscopes with beam-split trinocular output, such as the EMZ-8TR Series.Note: fits ONLY the following Meiji trinocular microscopes. 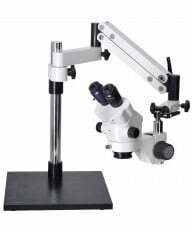 Replaces existing photo tube - EMZ-8TR, EMZ-8TRD, EMZ-8TRU, EMZ-8TRUD, EMZ-12TR, EMZ-12TRD, EMZ-13TR. 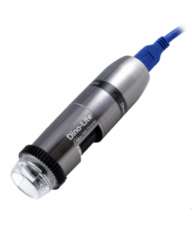 This adapter is not compatible with Motic MC1000, MC2000, MC3000 & MC5000 series digital cameras.